A series is a set of data - a line or a set of columns, for example. All data plotted on a chart comes from the series object. SeriesType: Gets the type of the series. Values: Gets or sets the data for the values of the series. Categories: Gets or sets the data for the categories of the series. Title: Gets or sets the title of the series. Clone(): Creates a deep copy of the object and returns the cloning. 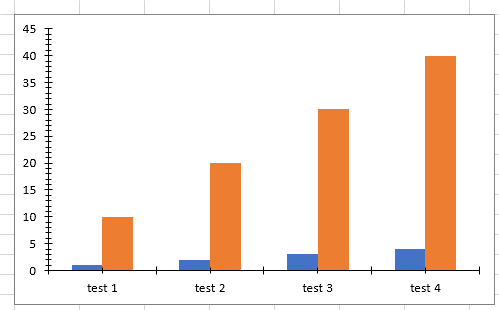 To better illustrate how you can change the series of a chart, let's take the sample data and chart from Figure 1. // The worksheet contains a chart of type bar. The same methods for adding and removing series can be accessed through the concrete SeriesCollection of the concrete SeriesGroup and they will return concrete Series object. You can access the Series property of the SeriesGroup object contained in the SeriesGroups property of the Chart object and iterate the SeriesBase objects in it. You can modify the properties of the base class for all series - SeriesBase. There are properties defined on SeriesGroup level. The SeriesGroup base class represents a group of series and is inherited by the classes holding specific types of series. In addition to the SeriesType and Series properties, which give you access to the type of the series and the series collection respectively, there are properties implemented in the inheritors. The additional properties are specific for a type of series and give you control over the appearance of the series in the group. DoughnutSeriesGroup defines the HoleSizePercent property. This property enables you to get or set the size of the hole of the doughnut relative to the size of the doughnut. The value of the property is limited to values between 0 and 90. Some series groups (Bar, Line and Area) implement the ISupportGrouping interface. It defines the Grouping property which is of type SeriesGrouping enum. The enum contains the following members: SeriesGrouping.Standard, SeriesGrouping.Stacked and SeriesGrouping.PercentStacked. 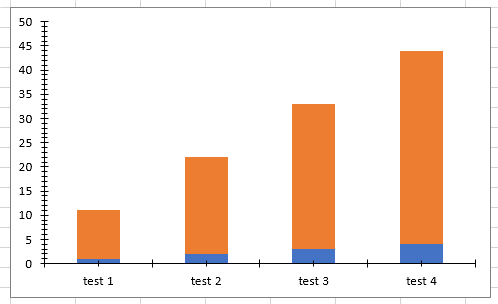 For the Bar chart, the Standard grouping results in a clustered chart. 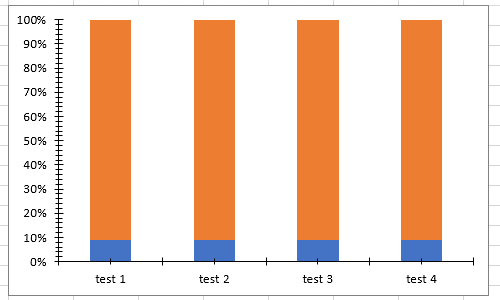 See the following examples for what the results of different grouping looks like.